See inside the summer cottage that actress Tori Spelling and her husband Dean McDermott built in Ontario. 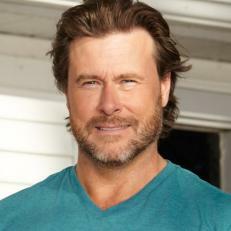 Dean McDermott, actor, television personality and Gourmet Dad, opened his home to America during the six seasons of the hit show Tori & Dean: Home Sweet Hollywood, along with wife Tori Spelling. Tori Spelling is a California-born actress and author who rose to stardom from her role as Donna Martin on Beverly Hills, 90210. Headline-making celebrity couple Tori Spelling and Dean McDermott are saying goodbye to Beverly Hills and hello to a broken-down cottage in the wilderness. Along with their four young children, a nanny and some goats, they'll renovate the entire place themselves all while living there. With no restaurants, no stores and no bathroom, can this hectic Hollywood family survive an outdoor adventure and transform their cabin into a stylish vacation home?